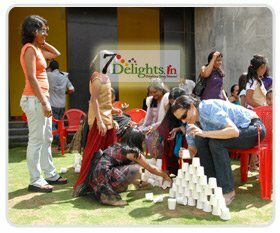 7Delights.in® was started with the remit to plan and produce the most creative high-end private parties and corporate events throughout the Bangalore and near by states. Since 2008 we had planned more than 3700 plus events of all sizes, and no matter how large or small, we still keep our boutique nature - never forgetting the personal touch that really be different. We work with all kinds of budgets or in some cases almost no budget at all. We have the advantages of being able to be very cost-effective by keeping overheads low, whilst being able to organise events of any size from small birthday parties, through to large-scale festival production and corporate conferences. With years of experience in planning some of the Bangalore's most high-profile private and corporate events, we have the experience, creativity and production skills to make the seemingly impossible, possible all with the help of our event managers or party planners 7Delights.in® sets the standard within the industry on how event management should be done. Not only are our staff experienced and qualified. So no matter what your budget, how tight your deadline is and how outrageous your demands are. Events we are specialized in !!! 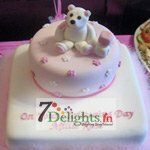 From Birthday party, corporate events to store launches or naming ceremony 7Delights.in® have established themselves as renowned event planners and organisers in Bangalore, providing entertainment services for a variety of corporate events and birthday parties. Whatever the event you are looking to hold, our specialist event planning and organizers services can be adapted to fit your needs. Your dedicated 7Delights.in® event manager will look after your every need's, from finding a venue to planning and sourcing entertainment. We plan and professionally execute corporate events as well as Birthday parties and dinners. So, let us help you organize the perfect event and make sure the overall event management service is flawless. Having closely observed the progress of 7Delights.in® since they were accredited here it is absolutely clear that they have established themselves as one of the leading Event management company in the events industry.